Return on investment is key when considering making upgrades to your home. Consider tackling a high-utility room in your home--like your bathroom--to add high value and luxury details that increase your return on investment and turn your everyday into something like a spa. Bathroom renovations regularly recoup up to 80-90% of their costs, according to Forbes, making even a couple upgrades worth the effort. Start by making sure everything in the bathroom is in good working order. This means no leaky faucets, cracks, ventilation problems, or subfloors damaged by water. If any of these problems exist, they must be addressed before focusing on cosmetic changes. Hiring professionals ensure these types of plumbing, electrical, and structural problems are corrected properly, allowing you to start thinking about the fun part of renovation: design. The layout of your bathroom is an excellent place to start when determining design elements to incorporate. Changing the layout of your bathroom can create more space or allow for modern luxuries. Altering layout can be contingent on moving plumbing. However, don’t let this hinder your design to do so. A design build team would incorporate this into your plans from the get-go, meaning no surprises or sacrificing design choices (like that massage tub) because of pipes in unwanted places. New tile, updated fixtures, and more natural lighting choices are upgrades that will show you the biggest immediate impact in your bathroom space. 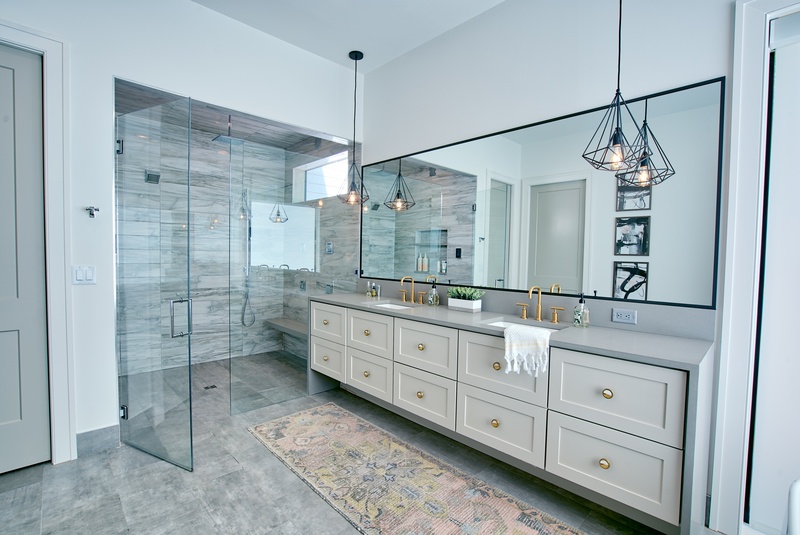 Working with a design build partner would provide cohesion behind all of those design choices and help your space achieve spa-like qualities. Other elements that would achieve a luxury element include adding a spa tub, deep for soaking or with air bubble jets. A steam shower would be a standing spa equivalent. Heated floors would go a long way for your return and feet, especially in places that experience cold winters. Maybe it’s not about upgrading what you have but looking to capitalize on what you don’t. Does your master bedroom have its own bathroom? Could your first floor benefit from a half bath when guests are over? Your answer to these questions could be your biggest source of inspiration when looking to add value to your home. If you find the aforementioned instances cause inconvenience or stress in your daily life, chances are the next owner will find them to be annoying, too. Solution? Add a bathroom where there wasn’t one before. The benefit of a design build team in this instance is twofold. The design process of creating a new space within an existing floor plan takes an expert design eye and the skill behind the custom construction are both covered.